This 4 bedroom home sitting on .35 acres of land in Easley is waiting for the next lucky family to enjoy. Conveniently located between Greenville and Easley, minutes from all the conveniences, this home is perfect for the small families, upsizers, downsizers, investors and home makers alike. It is spacious, immaculate, and with lots of character. 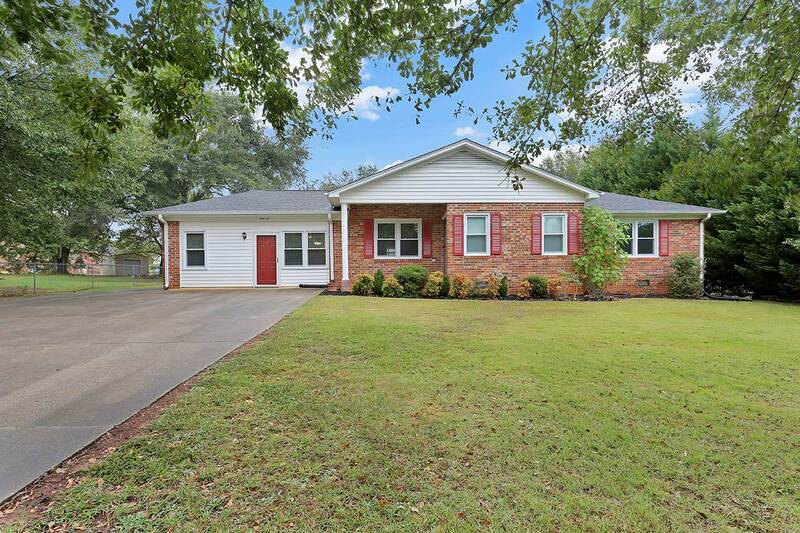 Conveniently located in Easley, SC, this ranch style family home is move in ready. Walking through the front porch door to the main living areas, you can easily imagine living here. The home is painted in neutral color that make the room appear more spacious. The home is handicap accessible. One side of the home features a living room, bedroom, and bathroom. The spacious white kitchen features lots of storage, plenty of counter space, appliances, and a nice size island with bar seating for additional dining space. The living room features a gas log fireplace and has new carpet. The three generous size bedrooms also has newly installed carpet. The master bedroom features a full bath with shower and walk in closet. Outside, there’s a huge garage/shop area perfect for anything from rebuilding cars to a wood shop or simply for extra storage.